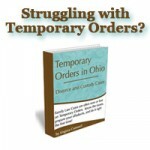 A Columbus Ohio Relocation Attorney article on Moving or Relocation. For purposes of this article, assume that moving parent and the non-moving parent have gone through the stages in the first three articles on this topic, and one or both parents have decided to go to court to seek a change of custody, shared parenting, or the school placement parent in a shared parenting plan. Ohio Revised Code 3109.04 requires a court find that there has been a change in circumstances before making this modification. In addition, the change cannot be a slight change; it must be a change of substance. See Davis v. Flickinger. (i) The residential parent agrees to a change in the designation of residential parent, or both parents, under a shared parenting decree, agree to a change in the designation of residential parent. (ii) The Child, with the consent of the residential parent or of both parents under a shared parenting decree, has been integrated into the family of the person seeking to become the residential parent. (iii) The harm likely to be caused by a change of environment is outweighed by the advantages of the change of environment to the Child. The Ohio Supreme Court, in MASTERS V. MASTERS 69 Ohio St.3d 83, found that a trial court abuses its discretion when it modifies custody based solely upon evidence that the residential parent intends to leave the State of Ohio with the Child. Many cases since have found that a move, in and of itself, does not constitute a change of circumstances. However, there are also many cases that have found circumstances attendant to a move which, combined with the move itself, may constitute a change of circumstances.